And finally, the Financial District. 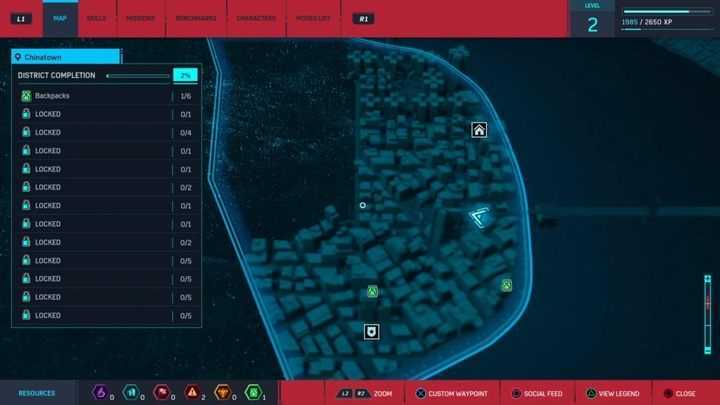 At the beginning of the game, the map will be obscured and you won’t be able to check what sort of activities await in the districts. Once you Begin the Keeping the Peace mission, you will discover the Surveillance Towers – you’ll be able to tune into them and gather info about the neighborhood. Capturing the signal will reveal a fragment of the district. Other towers will be marked on the map – just reach each of them and tune into their signal, and you’ll unveil the entire map in no time. 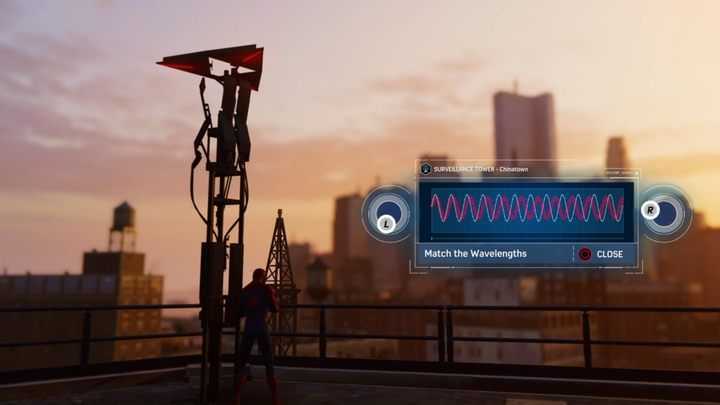 Doing it as early on as possible is a smart idea – you’ll be able to navigate the city more fluently, discovering collectibles and completing side quests on the go.